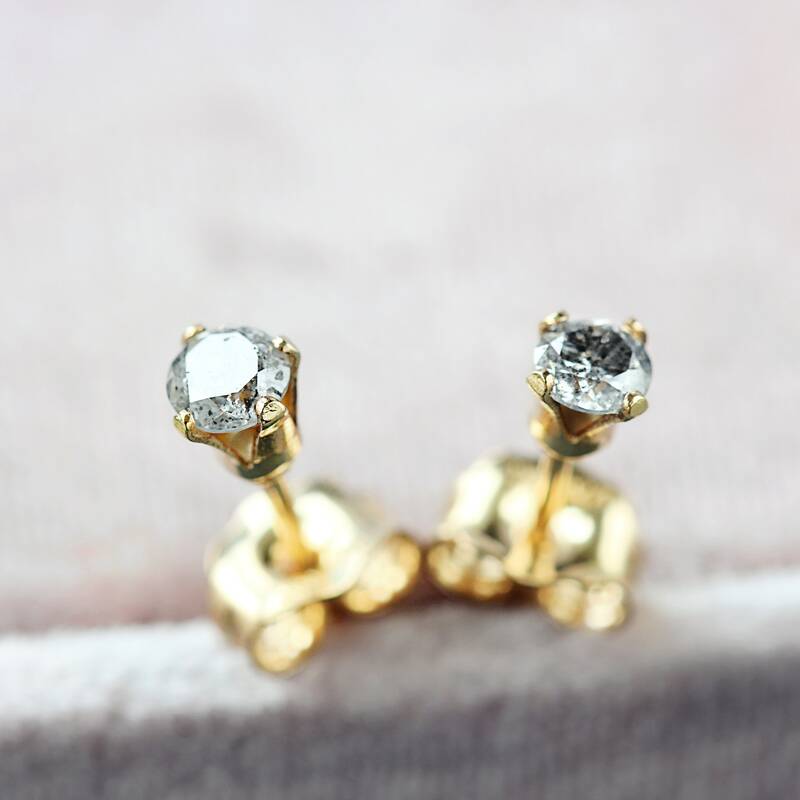 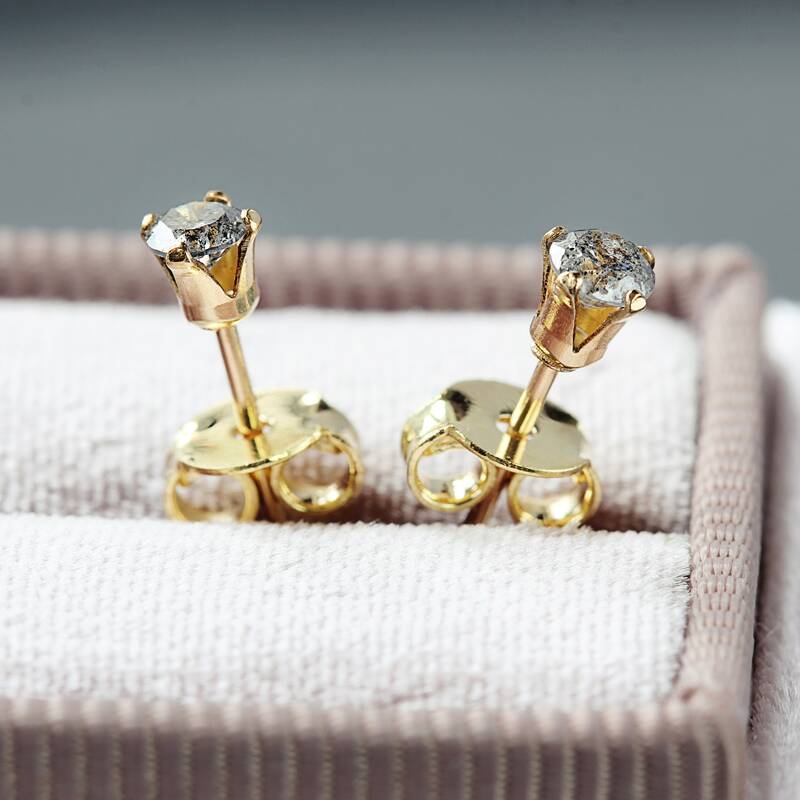 These real Diamond stud earrings will bring a beautiful sparkle to any outfit. 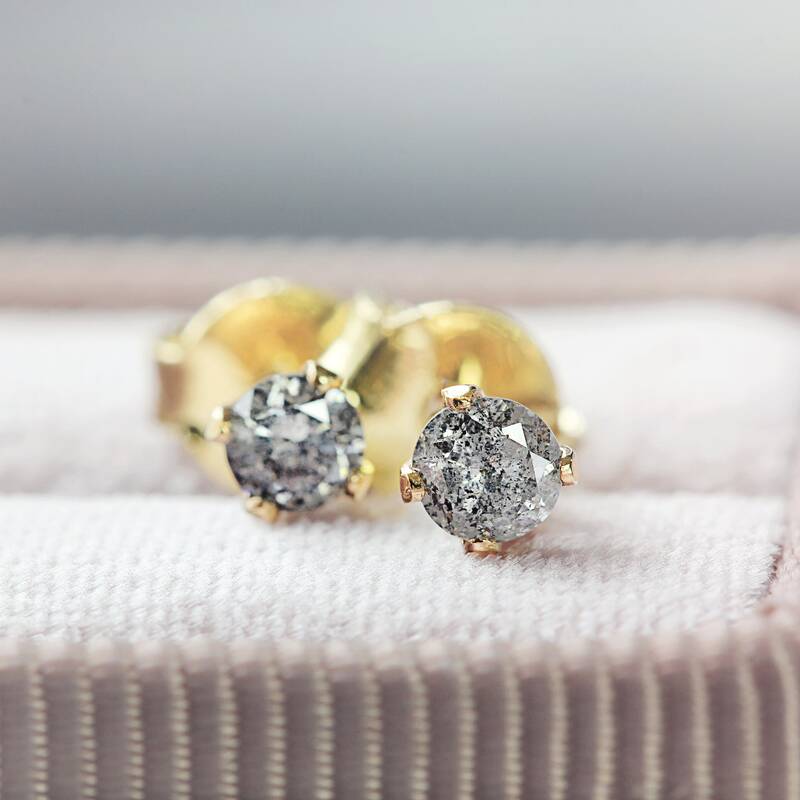 Subtle enough for everyday wear, but with plenty of sparkle for an evening or special occasion. 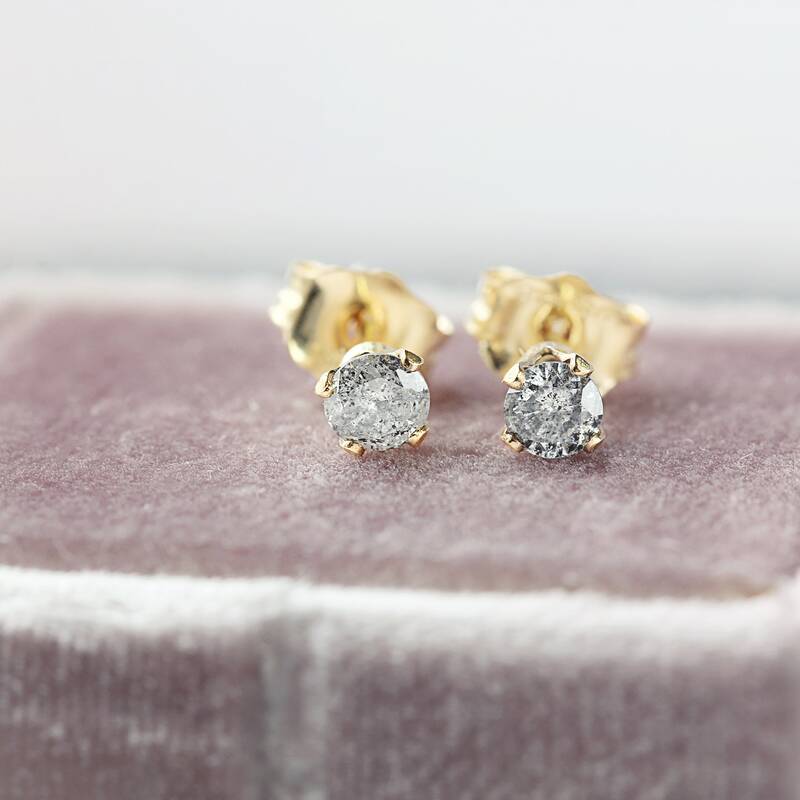 Featuring tiny (3mm) top quality, genuine Diamond stones in a multi-faceted round cut. 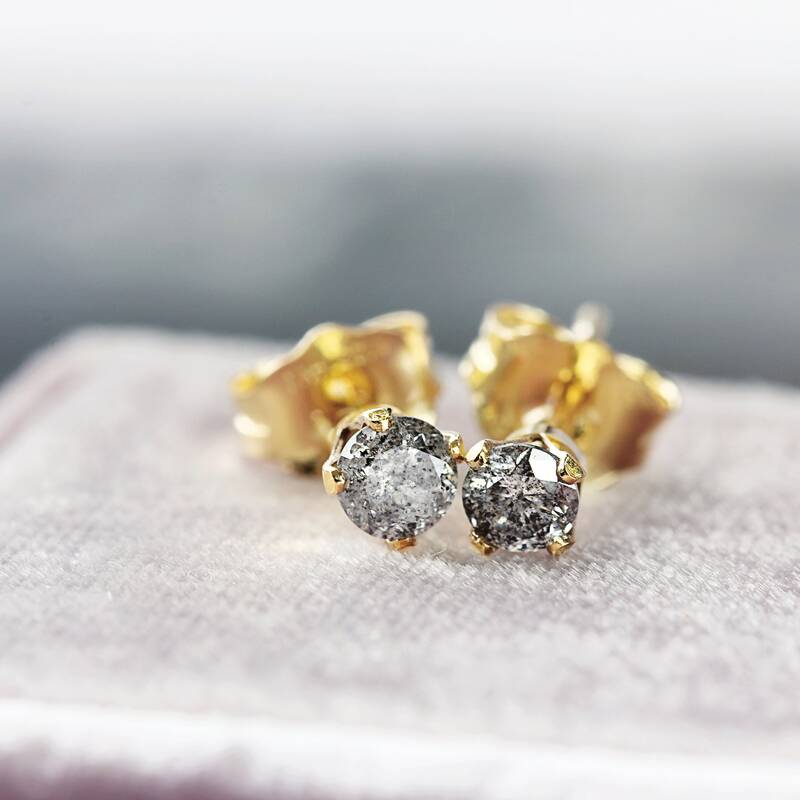 The black and white inclusions make these diamonds very distinctive and unusual and give them their attractive silky grey colouration. 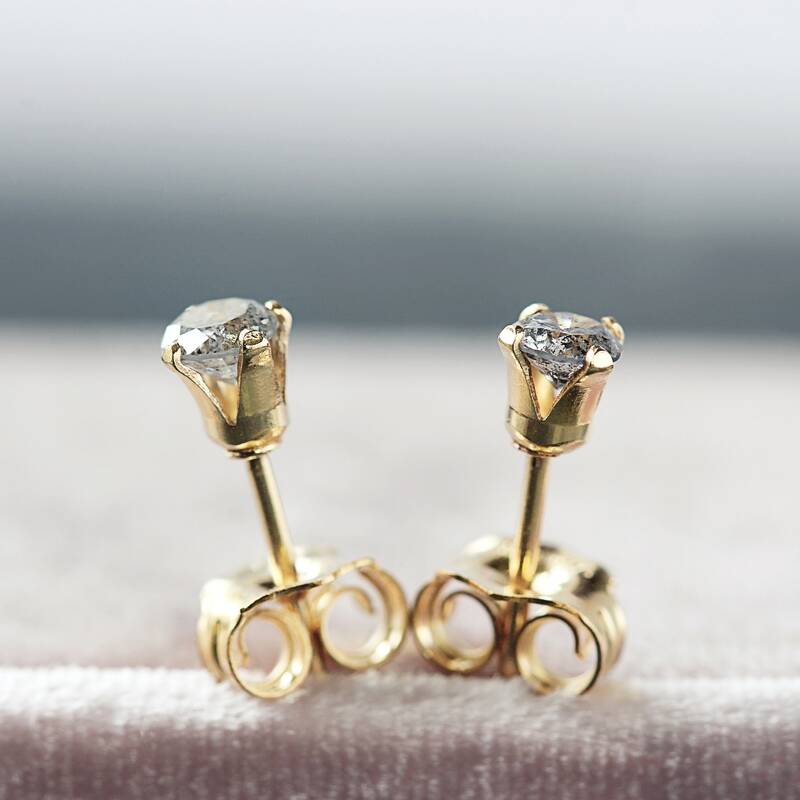 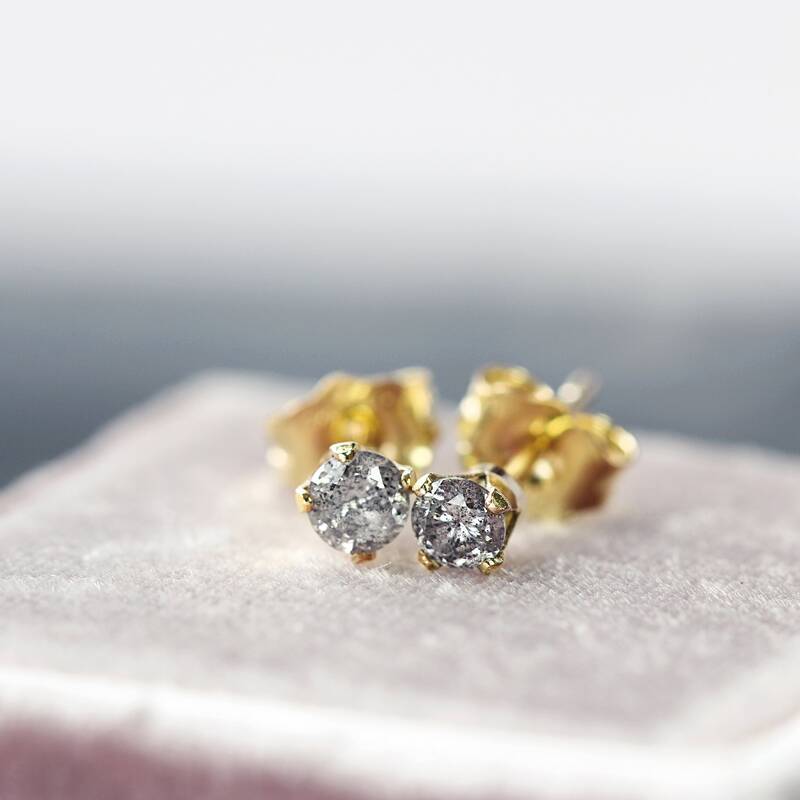 Conflict-free, untreated diamonds from Africa, set into 14k gold fill ear posts, they come with matching butterfly backs. 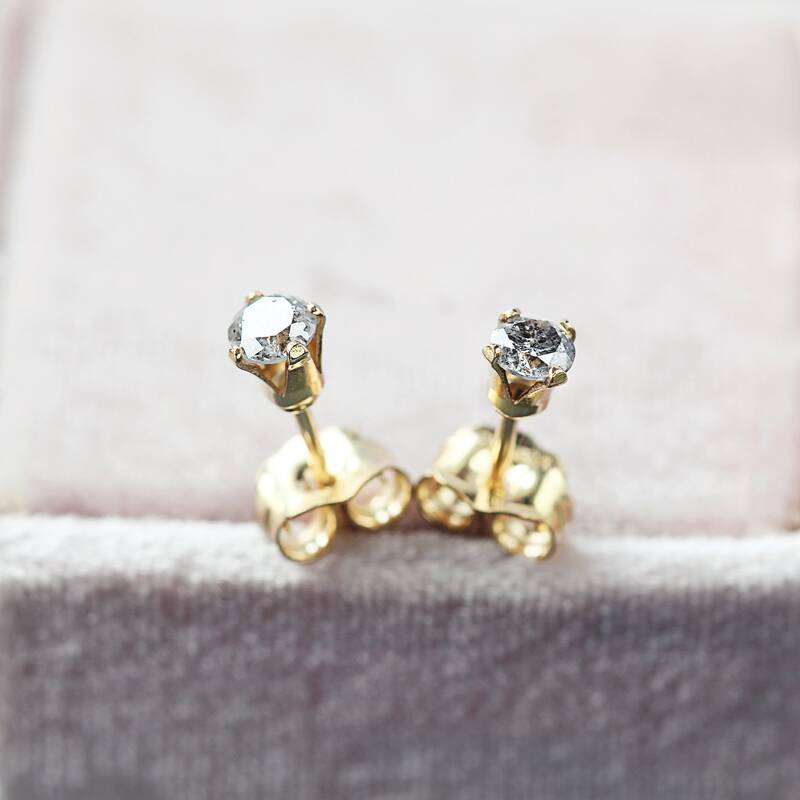 Each pair is carefully matched. 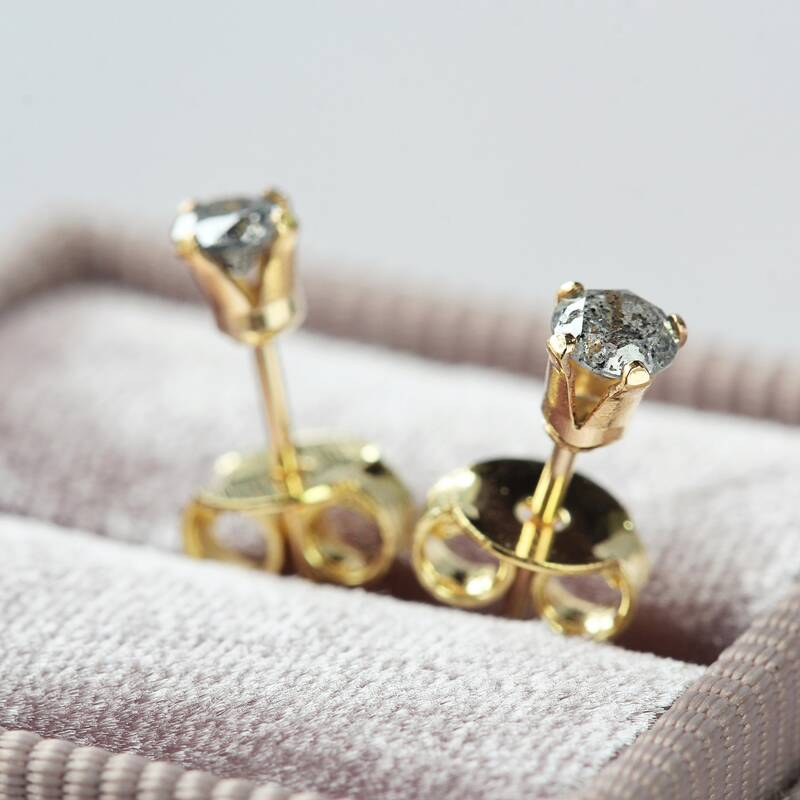 Can also be made to order in sterling silver - please just get in touch. 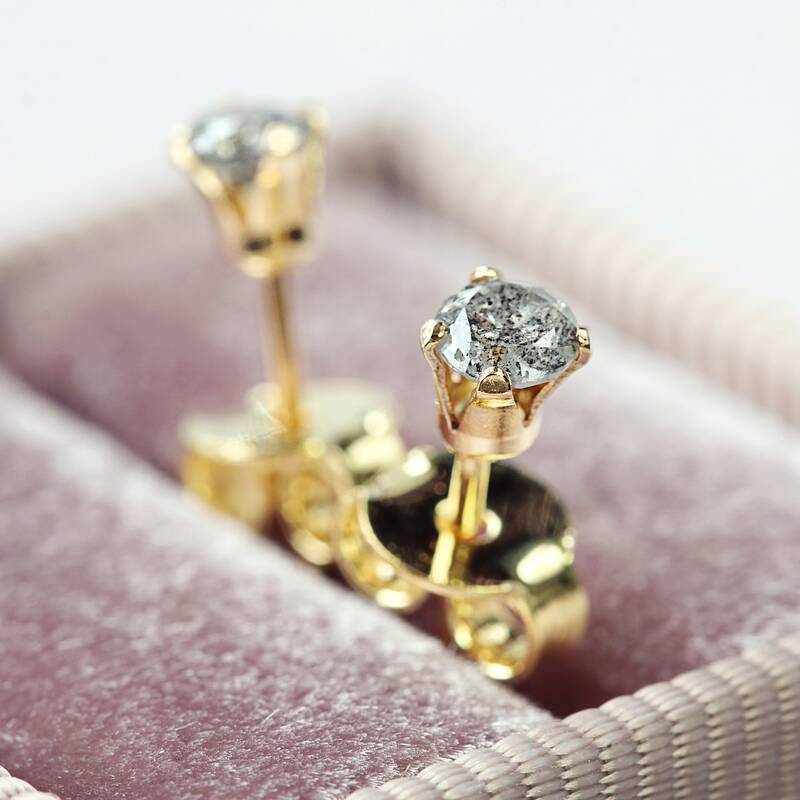 Also available as a single stud - please see full collection.